Want to know how to use an equalizer? Well, the good news is, there are many methods of using it during mixing. Most of them can work pretty good. 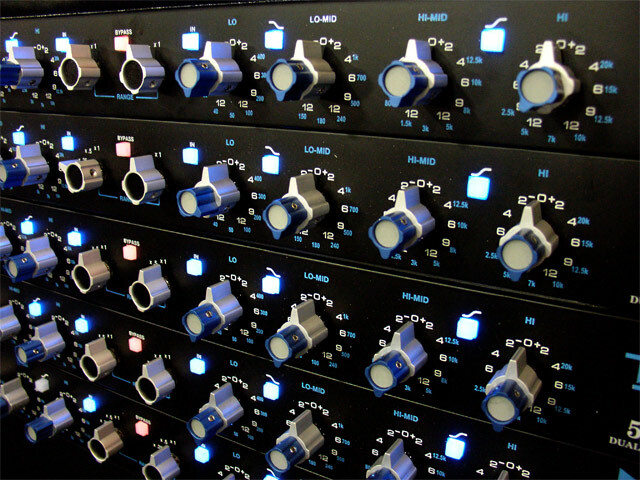 It means that in the right hands, with the right ears and with the right mindset, one can get good sounding results, with using most EQs out there. Of course it helps if the recordings and the arrangement are good to begin with. Not to mention the music itself. 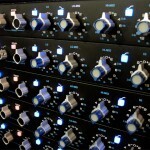 So if you want to get some basic knowledge on using the EQ, just read on. Electronic equalization is one of those things that seem to be older than they really are. Its origins can be traced to the beginnings of radio broadcasting. The basic technology hasn’t changed too much. Just like the general approaches of using it, either. The goal is still the same. To be able to change the frequency response of a signal. Only we have a bit more control options over the sound. And of course today we have the choice to use either digital or analog equalizers. Or both. I would like to present a couple of simple and logical guidelines of how to utilize the EQ effectively. Ones that can get you good sounding results quickly, so you can further refine your sound later. Regardless of the kind of EQ you’re using. Think in three basic areas: Even though you can divide the audible frequency spectrum into as many sections as you want, for practical reasons, it’s easier to think in three main areas. Lows (bass ~ 0 to 200Hz), midrange (mids ~ 200 to 5000Hz). And highs (treble ~ 5kHz to 20kHz). It corresponds to many simple EQs and tone controls you have probably used before. Our ears and mind can easily differentiate between most sounds this way. So we are able to tell which area they fall into. It allows us to focus on them separately with the equalizer. Easily. So when and how to equalize during mixing? When elements overlap: One of the corrective roles of an equalizer is to make the mix sound cleaner. Also to achieve greater fidelity. Sometimes the recorded sound of the elements – the instruments and other sound sources – occupy a rather large area of the frequency spectrum. They tend to overlap at certain points. It results in peaks and an overall lack of space. It can be a result of microphone placement. Or a natural (or artificial) reverb or other kind of ambience that has been recorded. With listening to the whole mix, you can get a feel for where these peaks and unclear areas are. Be it the area of the lows, the mids or the highs. You can then try reducing a certain frequency in those areas. On one or more elements. Use a bell filter and keep the EQ at a rather broad bandwidth. Or use an EQ with a fixed Q. I’m not a believer in the analytical, surgical approach. Unless the tracks sound truly horrible. Nor in the sweeping method. The mind can get used to sounds very fast. If you push up a narrow frequency randomly and start sweeping up and down, everything will start sounding like a problem pretty quick. As Michael Stavrou describes in “Mixing With Your Mind”, just change a certain frequency that you think is (or near) the problem. Then decide whether it sounds better or worse than before. For eliminating the buildup in the midrange: It’s basically a special situation of the above problem. Most of the instruments we use have a good amount of energy in the mids. It can build up quickly in a mix. Especially if it’s a busy mix with lots of elements. Most of the time you will find this buildup somewhere in the low mids. You can correct this the above described way. When elements have too little or too much of a certain frequency: It’s possible that your bass or kick drum is missing some power in the lows. Or the vocals need a touch of high end. If that’s the case, you can boost the area that’s lacking. Use either shelving filters or bell filters. Bear in mind that you can only boost something that was already there to begin with. If it’s in the high end, many times you will end up boosting a certain amount of noise and hiss as well. It’s the nature of the beast. The same process works in the case there’s too much low or high end present on certain tracks. The only difference is, you can use low pass (high cut) and high pass (low cut) filters for completely removing from the two ends of the spectrum. Bear in mind that many of these kind of filters have a resonance peak at the cutoff frequency. As you can see, there’s no mystery in using the EQ. All you need to do is add what’s lacking and remove what’s too much. It has to be noted that knowing how to use an equalizer (or any other device) is just a part of the whole. Getting good sounds right away during recording is a vastly more important part.